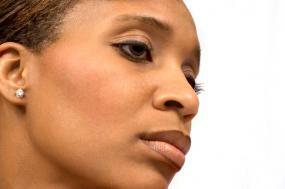 Women of color have specific skin care concerns like hyperpigmentation and proper hydration. Skin care specialist, Dr. Jeannie Downie, offers advice tailored specifically to individuals concerned about caring for skin of color. Director of Image Dermatology in Montclair, New Jersey, dermatologist and author Jeanine Downie agreed to share some expert tips on skincare with LoveToKnow readers. She received her Doctor of Medicine degree from SUNY-Health Science Center in Brooklyn, and subsequently went into the field of dermatology. She became the chief resident at Mount Sinai Medical Center, in addition to serving on the staff of other hospitals. Awarded as one of the top cosmetic Doctors in New Jersey, Dr. Downie has been featured frequently in the media spotlight, appearing on Good Morning America, The Today Show, The View, and the Discovery Health Network, just to name a few. In addition, Dr. Downie's provocative story on melanoma on MSG Network and Fox 5 Sports received an Emmy nomination. She also shares her expertise via radio and national magazines. Dr. Downie's book, Beautiful Skin of Color: A comprehensive skin care guide for Asian, Olive and Dark Skin (2006, Harper Collins), co-authored with Fran Cook-Bolden and Barbara Nevins Taylor, offers plenty of practical, down-to-earth advice for ethnic skincare. When asked what inspired her interest in dermatology, Dr. Downie replies that when she was younger she suffered from irritating skin conditions. "I had terrible acne and eczema." In her field, Dr. Downie now helps hundreds of people look and feel their best, helping them achieve healthier, more beautiful skin. LTK (LoveToKnow): You stress in your book the importance of finding the right doctor to treat your skin, particularly for skin of color. What would you suggest are the most important aspects to look at when searching for a doctor to care for your skin? Dr. Downie: "Look for someone who is board certified, and specializes in your skin type." She suggests that a doctor who is familiar with treating darker skin tones will be able to understand the intricacies and problems particular to those skin types. She additionally suggests it's wise to find a skin specialist who has experience with the particular skin issues you are dealing with. Acne is one of the top concerns of skin of all types, but there are particular problems associated with acne in skin of color. Those with darker or olive skin tones may develop dark marks once the acne heals. What can be done to treat these marks? Dr. Downie reveals that persons of African-American, Asian, Latino, Mediterranean and Native American heritage are more prone to hyperpigmentation, the technical term for these dark spots. She suggests that, in addition to following a good skin care regimen, you consult a dermatologist about the right treatments and products for your particular skin type. Mild facial cleansers with alpha-hydroxy acids, and prescription treatments, such as retinoids and bleaching agents like hydroquinone, can be prescribed to help reduce the appearance of the dark marks and promote new skin growth. Dr. Downie always starts her patients with very low concentrations of topical treatments to make sure the skin is responding appropriately. To keep skin looking clear and beautiful, Dr. Downie emphatically advises, "Don't pick!" This can aggravate acne further and contribute significantly to scarring and hyperpigmentation. She also recommends skin care lines, such as Ambi, that are mild and specialized for ethnic skin tones. M.D. Forte Rejuvenation lotion, Avene Diacneal and Avene Retrinal HAF, Prevage MD Anti-aging Treatment, and Aveeno and Cetaphil products. Dr. Downie asserts in her book that many people are under the false assumption that people of color do not get skin cancer. Dr. Downie's response to this is that it is absolutely false. She explained to LTK that she has seen many patients in her office who have been affected by skin cancer, and how damaging it can be. Those with a history of skin cancer in their family should have a skin cancer check every six months; others, Dr. Downie suggests, should be checked every year. She recommends sunscreen use all year round for all skin types. The one product she couldn't live without? You guessed it --sunscreen. Her book, Beautiful Skin of Color: A Comprehensive Guide to Asian, Olive, and Dark Skin, is available on Amazon.com..